I’ve always known I was different. My first flashes of strange feelings started to appear when I was 4 years old and continued to grow inside of me each year. At school I realized I wasn't discussing boys like the other girls. I tried to convince myself I liked men or boys (at least in movies and music bands), but it was all false. Then I saw "her" for the first time when I was around age 8. She was a teacher who came to take my classmate from school. And I was standing there, shocked and speechless for about 30 minutes. Next year, she came in the classroom to say she would be our math teacher for the next 7 years! I was terribly in love with her for that entire time, but I didn’t know there was something wrong feeling that way. She saw what was happening to me, but obviously she couldn’t do anything to help me get over it. Many years have passed since then. Like the majority of people in our country, she hates me and thinks I’m a weird lesbian who was trying to seduce her. At that time, I didn’t even know it was actually possible to love another woman. Today I’m 26, and I have a girlfriend and we have two children. Hopefully, one day, we’ll have a chance to marry. I believe in it. This photo should be in the dictionary under foreshadowing. Looking at my baby picture now, I find it extremely funny. 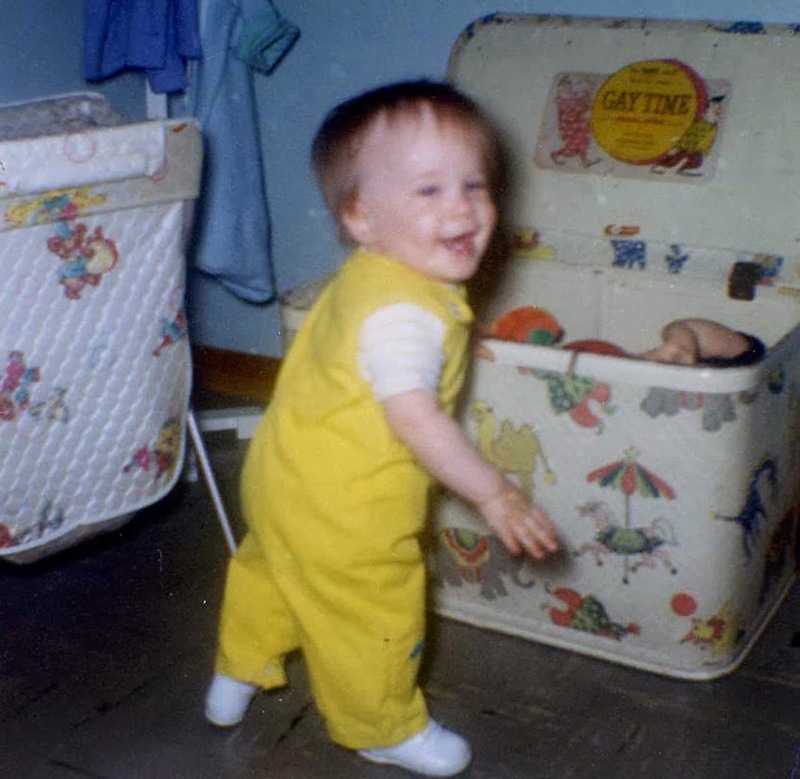 And think at some point, my mother most likely HATED that damn toy box. As a kid, I was all about watching TV. "Dallas" was my favorite, but my mom didn’t let me watch "Dynasty" because there was a gay character on it. In my teens, music (and especially Laura Branigan) was my obsession. I even managed to meet the woman three times in the mid-80's. I’d have to say that my first man-crush was Michael Landon from his "Little House On The Prairie" days. But it was my obsession with Lindsay Wagner in "The Bionic Woman" during the 5th grade that started the years of bullying. We were inside for recess and I was pretending to be bionic. Of course, I couldn’t say that I was pretending to be Steve Austin - it had to be Jamie Summers. Thankfully, though, the teasing finally ended during my senior year of high school. The truth is, I can’t remember NOT knowing that I was gay. But I fought it tooth and nail until the spring of 1986 (the end of my freshman year of college) when I gave in to my primal urges and kissed a boy on the lips (and some other things). 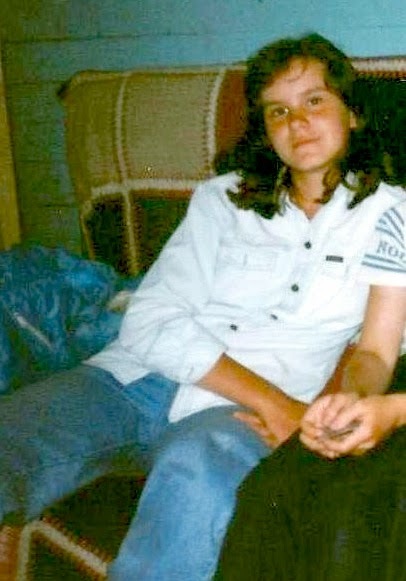 I had a long coming out process starting with my college friends, friends at home, my family (cousins, sisters, aunts), followed by sharing with my parents when I turned 30. And no, it wasn’t any kind of surprise. Today, I'm a happy, well-adjusted 46 year-old gay man living in Chicago. I'm the Director of Operations for a Healthcare IT company and have been happily partnered for the past 7 years. The funny thing is, everyone loves my partner – especially my parents. So sometimes life just works out, even after living through some hellish times as a kid. Be strong, be yourself, and know that it does get better.